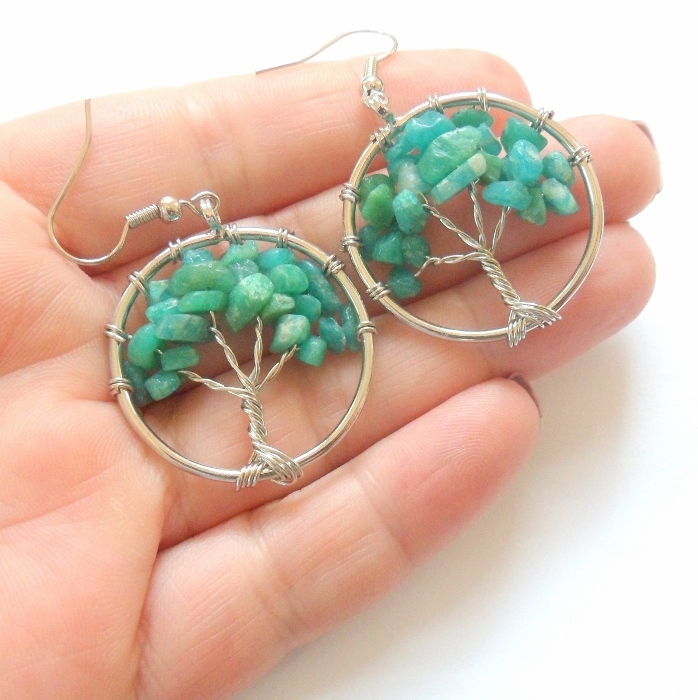 Green Russian amazonite gemstones set in silver plated Tree of life earrings. 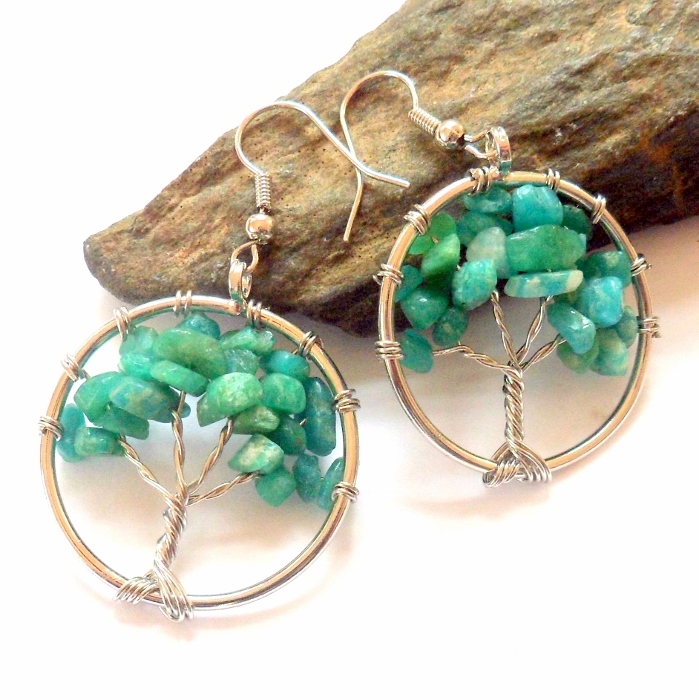 Amazonite is a gemstone of truth, harmony, and peace. Amazonite helps manifest our dreams and desires, and magnifies our intentions. Amazonite is a gemstone of communication. The Tree of Life represents the interconnection between all life on our planet. It unites heaven and earth and is honored as a universal symbol for healing, growth, the seasons of life, and the magical qualities of nature. The symbol tree of life has been used as in science, religion, philosophy, and mythology.